Jam City America live broadcasting from USA. 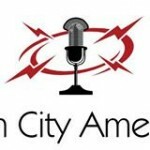 Always wants to pass some good time by connecting yourself with a medium that will please you all day long with its carefully thought and decorated programs than there’s the easiest choice could be online radio and Jam City America is the kind of radio that will please you with their programs all day long. Monday night at 9:00 PM “Hip Hop Elements All City Radio”,… Tuesday at 1:00 PM “Missy D Show”,… Wednesday at 12:00 PM “The C.O.A.R. Radio Show”,… Wednesday at 6:00 PM “The Crissy O Show”,… Wednesday at 8pm “Mic Check Show”… Wednesday at 9:00 PM “Hip Hop Elements All City Radio”,… 7:00 PM “Star City Indie Rock Radio”,… Friday at 7:00 PM “411 Underground Radio Show”,… Friday at 10PM “DJ Jett Show”… Saturday at 2:00 PM “The Vault Show”,… Saturday at 4:00 PM “The Justin Sane Show”,… Sunday at 8:00 PM “The C.O.A.R. Radio Show”,… Sunday at 10PM “DJ Jett Show”… All shows are set in the central time zone. From all of us here at Jam City America keep On Rockin! !